All players are invited to try the game for free for the first 60-turns. Sid Meier’s Civilization VI, named the 2016 Strategy Game of the Year at the Game Awards, is now available on iPad. 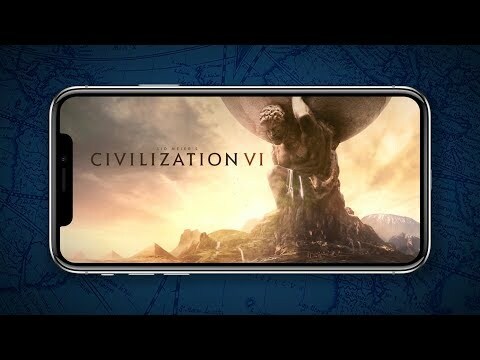 Rebuilt with touch controls, Civilization VI is the first flagship entry in the award-winning turn-based strategy franchise to be playable on iOS. Your empire is now mobile. Download now and play your first 60 turns for free. Purchase the full game to build an empire that stands the test of time! * Official support for the new XS, XS Max, and XR coming soon! Please note, Civilization VI iOS full base game does not include DLC or the Rise and Fall expansion.